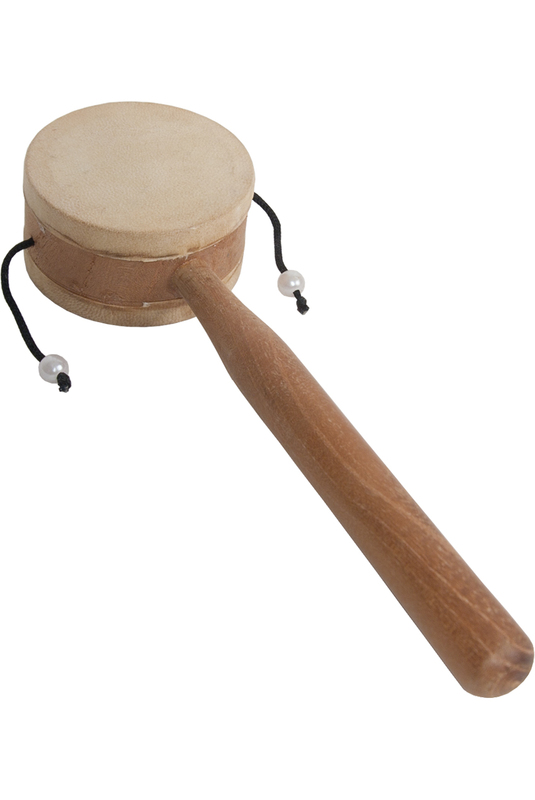 DOBANI 2.5 Inch Monkey Drum & Handle Age 3+ MOKY. 2 1/2" diameter. Hand held two-headed drum on a stick, two corded bead beaters strike the heads when spun. /!\ WARNING: CHOKING HAZARD - Small parts - Not for children under 3 years.